The mobile devices kingdom is, in terms of operating systems, totally dominated by Apple’s iOS and Google’s Android. Microsoft has been trying, in every way possible, to impose in this segment, but its growth within the market is going at a slow pace. 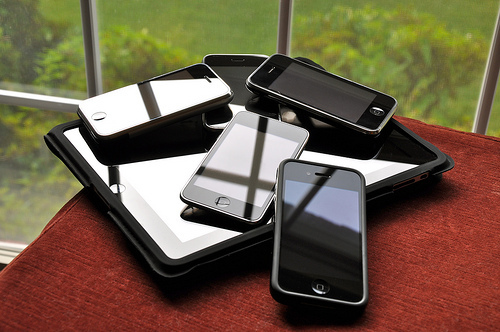 Since 2010, the market of mobile devices has been dominating the world of technology. The sales of computers are dropping, whereas the sales of mobile phones and tablets are rising – in fact, for each computer, four smartphones are sold. Today I bring before you 5 amazing alternatives to the two most popular operating systems for mobile devices. Over the last few years, Microsoft has been upgrading its mobile operating system. However, data shows that this system is used only in three percent of all the mobile market. The latest version, 8.1, has been introduced last February during this year’s Mobile World Congress and brought several new features, renewing Windows Phone’s position as the best alternative to iOS and Android. Microsoft is planning a change in the Windows world, giving that name to all its operating systems, in spite of their platform. Perhaps this change of strategy will translate in an easier user reach, helping to boost the worlwide sales. Back in January 2013, Canonical presented to the world the mobile version of their operating system. The Spanish BQ and Chinese Meizu companies have been given the source code of Ubuntu Phone OS, so that they can implement it in their smartphones. Some of their products are already available for sale, while others should hit the market in the next few months. Another OS based in Linux, Sailfish OS is optimized for mobile devices and, regarding its interface, has a version based in the Qt framework. Jolla is one of the most popular smartphones using this system, but it is now known that it will work with other smartphones. Even though Sailfish OS is primarily targeted at mobile phones, Sailfish Alliance, the company behind the OS, has plans to port it to other devices. We all known Blackberry’s history – it had the commanding position in this market a few years ago, but then it all went south. Now, Blackberry tries to breath again with Blackberry OS 10, that has been presented in January 2013. It is based in QNX and its highlights are the great performance and the native apps shipping with the system. Mozilla is obviously most known for its browser, Firefox, but in the recent times has turned to its mobile operating system. The latest version, 1.3, has brought several interesting novelties and features, but Firefox OS is still not widely distributed in the mobile market, therefore delaying its expansion. Even though all these five operating systems have a small presence in the market, their user-base is big enough to be considered as potential players in the market. It is well-known how the tech and mobile markets can change in a flash, so it would come as no surprise that, if a major issue appeared on iOS and/or Android, one of these could then take the market’s pole-position.